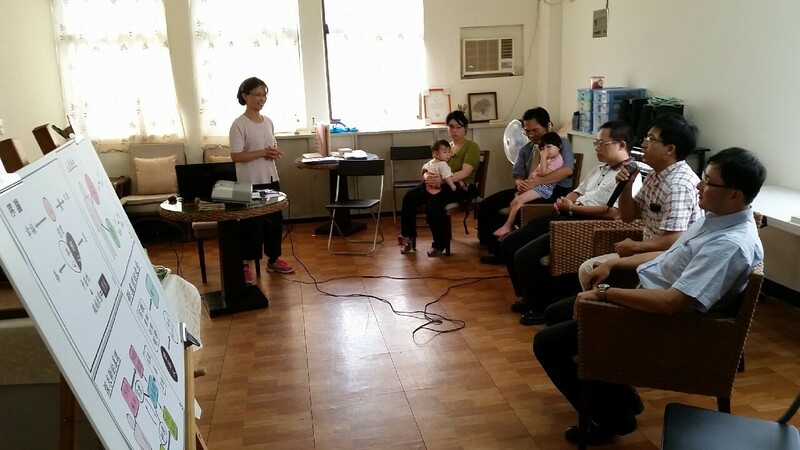 FFWPU Taiwan: Taichung church in Taiwan which brings the best witnessing result of young people had established two centers in past two months. And right now there are three of our centers located nearby universities and another center is located nearby a senior high school. Especially, we have a new center nearby Providence University which is established by our blessed families. And till this time there are 10 new university students who study Divine Principle. In September, we had 134 students who studied Divine Principle and 98 new guests who participated in a 2-Day workshop. All our Blessed families are active in supporting our church activities, so we feel hopeful so much! “Shinlin center” in Taipei held a special project of “Street Lecture” on September 5. Under the leadership of Mrs. Jiang members are condensed and resurrected. They gave Divine Principle lecture openly in the park. When brothers walk out to do it, they were so joyful and their wives and children joined them. In this event we could invited 12 young people to serve as volunteers for our service project “the elderly living alone.” And in doing this, these volunteers began to study the Divine Principle as a tool to help them in truly serving others.